Offering elegant and modern accommodation on the idyllic Isle of Lewis, Borve House Hotel features luxurious rooms and offers good food. 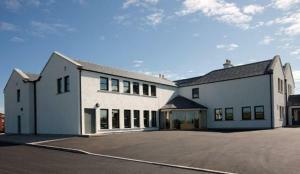 On the West coast of the Isle of Lewis, the house provides free Wi-Fi access in public areas. Spacious and classically furnished, the rooms enjoy luxury duvets and cotton sheets, along with an en suite bathroom with a power shower and natural toiletries. A flat-screen TV and tea/coffee facilities are featured in each room. With a 50-inch TV, the modern bar offers classic pub food with seasonal and local produce, a range of Scottish malt whiskies, and an extensive wine list. Free parking is available, and Stornoway, with its ferry port, airport and golf club, is 30 minutes away by car.